Do you want your PC to look like a masterpiece? Are you looking for some awesome features for your PC case? If you want your PC case to stand out, you need some quality made RGB fans and LED strips. The products we have reviewed may just be what you need to improve the looks of your system. Check out our full reviews to find the highest rated RGB LED strips and the top rated RGB fans. These PC accessories do not afect your systems performance but greatly increase it’s aesthetics. 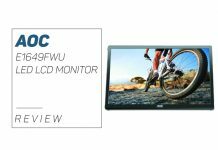 You are just a couple of clicks away from a great looking desktop computer. It’s no wonder that the products manufactured by Corsair often end up with dozens of awards. Their hardware always boasts an impressive combination of quality and functionality. What about their series of RGB LED fans? Is it worth the money? The LL fans come in two versions – 120mm and 140mm. Although they do have their differences, they both feature an RGB LED lighting that’s guaranteed to attract some serious attention. Thanks to the presence of the external and internal LED loops, the user can create almost limitless combinations of colors. There are 16 LEDs in each fan. Each of them is independent, which allows a high degree of customization. These are controlled by the Corsair’s signature LINK software, which works very well and makes creating various patterns very easy. The differences that we mentioned are the RPM, CFM, and the dBA ratings. Those vary between the 120mm and the 140mm versions. The smaller fan operates at 600-1500 RPM, producing noise of 24.8 dBA (max speed), and also generates 43.25 CFM. The 140mm fan, on the other hand, is capable of working at 600 to 1300 RPM. It produces 25 dBA of noise and 51.5 CFM. The fins, inner edges, and internal hubs of both versions have been manufactured from a translucent material. Which creates a vibrant glow and spreads the light very evenly. Along with the fans, the box also contains the manufacturer’s Lighting Node PRO, 12 mounting screws, an RGB lighting hub, as well as two mounting strips. There a plenty of purchasable options – one can buy these fans in bundles or separately. Overall, the Corsair LL Series RGB Fans sport an excellent build quality. But also provide the user with an unmatched amount of customization for the unique looking setup. Thermaltake is one of the leading brands in this part of the market. This time they decided to combine LED lights with their cutting-edge hardware technology. Let’s take a more in-depth look at their Thermaltake Riing Plus – Five Pack! As the name suggests, the box contains five 12-LED RGB fans (available in both 120mm and 140mm variants). These fans have high-static pressure and are capable of producing over 16 million colors. Each of the 12 LEDs can be controlled separately. This allows a high amount of customization and lets you create some very interesting patterns. 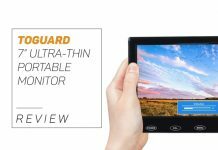 Other features worth mentioning are the hydraulic bearing, high-performance compression blades, as well as the digital fan controller that you can control through the manufacturer’s signature software. The hydraulic bearing is there to reduce friction with the self-lubrication, which provides the user with a quiet operation and gives the fans a long lifespan. There’s also the anti-vibration mounting system, giving the edges of the fans the necessary protection and removing almost all of the vibration. The included software is well-designed, intuitive, and very practical. It will let you personalize color for each of the LEDs separately, but you can also choose some of the already existing lighting schemes – such as the RGB Spectrum, Wave, Ripple, and others. You can also sync the lights with your favorite music, as well as to control the speed and monitor the temperature. Along with the fans themselves, the box also carries some accessories – the power and the daisy cables, an adhesive tape, a PWM digital fan hub, as well as the manual and the warranty. Some people may find these fans expensive, although that’s not really a serious flaw when you consider their design, performance, and capabilities. The Thermaltake Riing Plus Five Pack certainly brings something new to the table. Its primary advantages are an excellent design, a high cooling performance, as well as the high amount of customization. It’s definitely something worth considering. Everybody who has followed the evolution of Enermax products knows that the PC equipment manufactured by this company has always been highly innovative and very functional. The company was among the first manufacturers to create fans with removable blades, which is a feat that puts it leaps above other manufacturers. What about their T.B. RGB fans? Are they worth the money? Let’s check them out! Along with the fans, you will also be getting a control box (supports 2 x RGB LED devices and 8 x RGB fans) and the 3-in-1 remote control, which allows easy selection of the preferred lighting effects. The package also contains magnets with tape, twelve screws, as well as the Molex power lead. Both sides of fans come with rubber pads that isolate them from coolers and cases, and each of them contains seven blades surrounded by sturdy black frames. There are four cut-outs on each frame, and their purpose is to provide easier visibility of the RGB lighting. The illumination comes from an opaque plastic section that is inserted into each frame – it contains about 20 LEDs that deliver a smooth illumination. With Enermax T.B. RGB fans, the user can choose between six lighting modes, ten LED intensity levels, and ten solid colors. The fans provide beautiful lighting both from the front and from the sides, no matter which of these modes and levels you decide to use. The fans can be set to match your motherboard through the 4-pin connector. The Enermax T.B. RGB fans can be purchased in two package deals – 3-fan pack and 6-fan pack, with the second one coming at a discount. The company offers all you need at a truly reasonable price. Although some might find installing them a bit difficult, these fans provide an exceptional performance without having to dig deep into the pockets. Out of the box, the three included fans come with an excellent presentation. One of the first things to notice is undoubtedly their “Riing” design, which is also the reason behind their exceptionally bold and bright RGB effects. The fans possess a strong aesthetic even when their lights are turned off. When speaking of RGB lighting effects, it’s pretty safe to say that the Trio 12 is amazingly vivid and bright. The colors and the effects look lovely, while the plethora of control options allow the user to create a light show of his liking. Unlike on some other fan kits we’ve reviewed, the controller hub that comes in this kit does not look or feel cheap. It’s a sturdy piece of equipment with a Thermaltake branding at its center and eight ports for maximum versatility. The control switches are located on the back of the device. Installing all of this on your PC is exceptionally easy. The package includes all the necessary accessories you’ll need to get this lighting kit attached to your system, with the power/input cables being long enough, robust, and flexible. The software that accompanies these fans has a user-friendly interface and is very easy to navigate. The fan kit can also be linked to your Amazon Alexa, allowing you to control the light effects and the fan speeds with your voice. Thermaltake Riing Trio 12 is a genuinely compelling product that doesn’t only offer excellent performance but also delivers some of the best-looking RGB lighting we’ve seen so far. When it comes to the maximum optimization and optimal airflow, NZXT Aer RGB case fans might be the choice for you. They were designed to seamlessly integrate with HUE+ and provide you with the most advanced lighting customization. You can daisy chain and group up to five fans per just one HUE+ channel in order to achieve the extensive lighting modes that work well together in perfect harmony. You can modify and select over ten different lighting effects using nothing but your Cam’s software interface, really quick and easy and with almost no effort at all. Fluid dynamic bearings and winglet tips are just some of the features of the Aer RGB fans, and those features will provide you with the most enhanced performance. Noise levels will be reduced to a minimum with these outstanding fans for sure. In order to unlock a full suite of lighting features and utilize these NZXT fans to their fullest, you will need to connect them to a HUE+ controller. These features were specifically designed for the Aer RGB. Now, with these fans, the possibilities are literally countless. Aer RGB HUE+ lighting channel gives you the ability to mount up to five fans. You can designate fans to particular groups or just link them all together. Aer RGB includes all lighting presets from HUE+, and you will be introduced to some of the exclusive modes like RPM mode. Put simply, NZXT Aer RGB 120 case fans are the best when it comes to optimal cooling experience. Specially designed fan blades were made to optimize your airflow while keeping the noise level to a minimum. And because of the fluid dynamic bearings, you will be able to perform long lasting operations in sheer silence. Anyone that decides to go with these fans can rest assured that they got great quality fans that they can count on in the years to come. Everybody likes having some RGB illumination on their fans, and the easiest way to achieve that is to purchase fans that come with embedded RGB LEDs. But what if we told you that could also buy standalone RGB fan frames and save some money on the new system build? 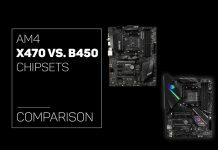 Check out Phanteks’ new solution! Available in 120mm and 140mm variants, this frame comes with high-density LEDs that have the capability to create a true light show, as they produce a very bright ambient glow and shine directly onto the blades of the fans. It was manufactured from plastic, but it still offers excellent sturdiness and durability. It arrives in a simple package together with an appropriate cable and the mounting screws, and mounting it onto your fan is a piece of cake – easy operation is always a big plus in our book. Of course, you can also place the frame on your all-in-one cooler, radiator, and other hardware. 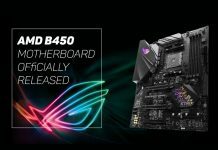 Fortunately, the frame is compatible with most of today’s popular RGB software – and that includes Gigabyte’s RGB Fusion, MSI’s Mystic Light, ASUS’ Aura Sync, and other programs. Creating various lighting patterns is incredibly easy with this product, and the overall look of the mounted frames is just outstanding. The Phanteks Halos RGB Fan Frame provides a cheap way to give your system a look that you always wanted – but if you’re not short on money, remember to check the Lux series from the same manufacturer. Unlike the Halos ones, the Lux frames are made out of aluminum, which results in a higher price. The Halos frames should be quite enough – just add a couple of them to your system, and your budget-friendly system will be complete. If you have RGB-less fans in your system and would like to illuminate them, the Phanteks Halos RGB Fan Frame is an excellent choice. Not only is it cheap, but also easy to install and creates a bright ambient glow that’s guaranteed to attract attention. These lights are internal LED light strips that come in both 1m and 2m length. They are connected with the same controller as your exterior LED lights. This will make them match, and you can control both lights with the same controls. The lights are waterproof, so everyone that wants to enhance their computer with a water cooling system does not have to worry about these lights. The lights can be placed just about everywhere you want them to be inside the glass computer case. There are ten preset color options with a Phanteks Case RGB controller that you can choose from. Installing these lights is easy, and all you have to do is take the simple three steps. The first step is to decide where you want to place them. The second step is to locate the RGB LED strip connector at the back of the case and connect it with the lights. The last step is to remove the adhesive backing from the strip and place the lights at the location that you have chosen for them. The lights also have a small magnetic line on them which can make them attachable even without the adhesive backing striped. So, if you don’t want to use adhesive, you can use that magnetic line to attach the lights to your case, and you can replace it easily when you want to. Some users would wish that the strips were a bit longer, because they might need a few more inches, since the product dimensions are: 0.40″ x 17.70″ x 0.17″. But for some users that’s just enough length for illuminating your chassis. This is a high quality product, no doubt about it. 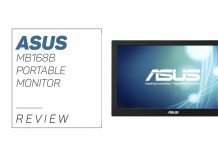 And despite the price being a little higher that your every day strip it’s considered a great value given that is supports a great variety of different led sync technologies from Asus, MSI & Gigabyte. Corsair, one of the most well-known manufacturers of PC-related equipment, has unveiled their Lighting Node PRO kit, giving the PC enthusiasts a great way to control the overall look of their rigs. The Lighting Node PRO strips come with magnetic and adhesive mounting hardware, and each of them can be controlled individually if needed. Let’s check them out! Inside the box, you will find four RGB LED strips, the Node PRO controller, as well as the mounting tapes, appropriate cables, and the manual with warranty. The included controller is quite small, having an all-black case and picking up power from an additional SATA port. Its frontal area introduces two headers representing separate channels. A single channel will allow you to plug in up to four RGB strips, and you’ll be able to control each of them individually through the software. The supplied RGB strips, on the other hand, are of a very good quality and each of them consists of 10 LEDs. One thing many users like here is that they’re magnetic – this can come in very handy when the glue doesn’t work well with the chosen surface. The strips are controlled through the Corsair LINK software, which has an attractive interface and a plethora of configuration options. Through it, one is able to modify the brightness levels, the LED lighting effects, but also choose the number of active strips per channel. There’s also the “Temperature” setting – it allows one to set the strips to represent the current temperature values inside the rig. The Corsair Lighting Node PRO kit offers everything one might need to equip his PC with beautiful RGB LED illumination. Both the controller and the strips are very easy to install and use, while the wide array of settings provide a fantastic degree of user customization. So, you decided to spice up your living room or your gaming room with some LED lights that can change colors, but you are unsure which one to get? The basic light strip is good for decorating your TV or your computer and it can be easily placed wherever you deem it will look good. The light is powered by USB and works great with both 2.0 and 3.0 USB ports. You get a remote that can help you change the light intensity, light color and other things that you want to adjust from afar. The lights have many different colors that will make your room or PC lighten up to your preference. The product has a self-adhesive back with double side adhesive tape, and the product dimensions are 6.9 x 4.9 x 0.9 inches. This strip is also water resistant which means that it can be placed outside without it being damaged by the weather. The positive sides of these lights are that they shine bright, they have many different colors to choose from and they are also easy to install everywhere. Some people may find it difficult to install because this product doesn’t have an instruction manual. So, before you start mounting the lights take some time to get to know the controls and how the lights can be installed, so you don’t start and then figure out mid job that it can’t be done how you imagined it. In conclusion, this product is good for someone that is buying an LED strip for the first time. Low price of this particular product just makes it that much easier for you to hop on board to an RGB craze. Backlights can be used for anything both inside the house and outside the house. The Tingkam Full Kit RGB 5050 SMD Led Strip Light is a perfect light that can be mounted in your car, on your TV, on your PC or anywhere where you need to make the LED light stand out. The lights are located in a zip lock bag, and the strip comes on rolled up. The package includes 2 x 30cm 5050 RGB LED Strip 1 x SATA Connector Cable, 1 x 24 key Remote Controller, 1 x IR control box, 1 x 4-pin extension cable ,1 x User Manual. A welcome addition compared to some other products is that this one includes an user manual. 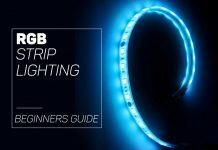 This may not sound that appealing to the more tech savvy people out there but if this is your first time interacting with an RGB LED strip, consulting the user manual can certainly make your job setting it up easier. In the handbook, you can find all sorts of useful information such as what the remote does, how can you set the intensity of the light, how can you change the color of the lights and similar things. When you first open the package, you can see the quality of the strip. The quality is significantly better than a standard, which is something that everyone wants. The installation of the lights is easy, and it will take you 5 minutes after you have read the user manual. Once you set up the light on the desired place, make sure to put the receiver in the line of sight from where you plan to use it the most, as the range and angle are not the remotes strong side. All in all, the Tingkam Full kit is a good product. The lights will serve you for a long time, and it’s a good product for this price range. These are 1 meter long LED strip lights which are way above the standard what is on the market. The lights are encased in a flexible rubber housing that keeps it waterproof. The package includes: 3 x 40cm 5050 RGB LED Strip, 1 x SATA connector cable, 1 x 14 key remote controller, 1 x IR control box, 1 x 4-pin extension cable, 1 x user manual. A nice addition in this package is the user manual. Most of the lights that you buy online won’t include a user manual so it can be hard to set up these lights as you have to figure it out all on your own. Installing these lights is really easy and can be done in a few easy steps. First, you need to decide where you want to put them as the lights can fit just about anywhere in your computer. The second thing is to Connect the SATA connector to your PC power supply and connect the other end to the led controller. After that, remove the adhesive from the back of the strip lights and place them on the computer where you want them to be. Last but not least, connect the two led strips to the four pins with the extension cables. The product dimensions are 15.8 x 0.4 x 0 inches, and it weighs at 0.3 ounces. There are four different light modes which is not a lot. However, these lights are some of the brightest you will find on the market, and besides the controller being pretty simple and not offering many options to controlling the intensity of the light, there are no downsides. At this price point, these lights are a high-quality product for anyone who is interested in updating their computer case to a whole new level. Once you open the box you will find: 2x Magnetic RGB LED Strip, 1x LED Controller, 1x 24 key remote controller, 1x Molex 4pin Power Connect Cable, 1x Extension Cable. As you can notice there is no user manual, so you will have to figure out what to do on your own. However, the installation is not that hard. These light strips are capable of producing 16 different light colors which can be both attached with a magnetic strip on them or by removing the adhesive on the back. To power these strips, you need a single 4-pin Molex plug that connects to the power supply of your computer where you need 12V to power them up. With the lights, you also get a light controller where you can from a pretty big distance change the intensity of the light, change the light effects, or just turn them on or off. The specification of these lights are 19.7 inches LED strips with 7.9 inches Cable for each strip, and there are 18 LED’s on each strip. The weight of the product is at 5.3 ounces which is common for LED light strip that has good magnets attached to them. The lights are also waterproof. They have a pretty long life span of up to 100,000 hours, and the quality of the material used is quite high. When it comes to spicing up your computer case these lights are just what you needed. For the price asked, this product is a bargain for some users, and it produces a bright color that you won’t find with most brands. When it comes to the decoration of your battle-station (i.e., your gaming rig), using the LED strips is one of the most convenient ways to do it. Not only are these things quite cheap, but allow you to create a real light show out of your PC. Let’s take a closer look at the CableMod’s newest RGB solution – the WideBeam Magnetic LED strips, and see what they have to offer. As the name suggests, the main selling point of these strips (and its most impressive feature) is that it comes with LEDs that provide a wider beam angle. The thing that makes this possible is the fact that the guys at CableMod decided to use the SMD5050 LEDs, which are by far the best solution when it comes to PC lighting. They are very reliable, shine very brightly, and are certain to attract attention. Another great thing here is that the strips are powered via the standard SATA connector – you don’t need a separate power source, which is quite convenient. The CableMod WideBeam Magnetic LED strips are also fully chainable, with two included jumpers that will let you easily connect some extra strips. If you’d like to have an extra-long lighting in and around your computer, then definitely consider purchasing one of these kits. The presence of multiple rare-earth magnets is there to provide a more secure fit, and also lets the user easily reposition the strips as he sees fit. If you’re an owner of an ASUS motherboard with an RGB header, you will be pleased to know that these strips come with a special adapter for such motherboards. The standard choice of red, white, green, and blue colors is not the only option here – this kit can also be purchased in UV. All in all, this LED kit can really make a difference. The magnets are strong, the ability to power the strips via the standard SATA connector is good. The strips also sport an affordable price, which is yet another thing that makes them worth considering for purchase. When it comes to LED strips, most people want just one thing – to illuminate their PC, and that’s it. But what if we told you that you could control the strip with your voice? That is precisely what the main selling point of the Texsens LED Light Strip is, along with some other useful features. Let’s take a look at it! Like we said in the intro, this LED strip can be controlled with voice. In order to do this, one has to download Alexa Amazon, that will let you change the colors, brighten, dim, and turn on/off the strip. This can come in very handy in certain situations and is a feature that has no match on the market. 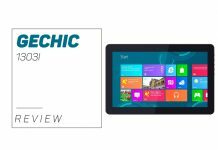 It is very practical and highly functional, without any sorts of bugs or hiccups. The LEDs featured on this strip are the well-known 5050 SMD LEDs, which allow the strip to be very flexible and emit a bright, colorful light. They’re also very energy efficient – even though this indeed isn’t something important when it comes to LED strips, it’s still nice to have low energy consumption wherever possible. The other side of the strip sports a self-adhesive tape that lets the user place the product on all kinds of flat and dry surfaces. This will allow you to use it everywhere around the house, and can certainly come in handy for Halloween or Christmas. Other things worth mentioning are the sturdiness (the strip is not easy to break), the high conductivity index, as well as the substantial oxidation resistance. All of this is allowed by usage of copper as the primary build material – it makes the strip both durable and flexible. In conclusion, the Texsens LED Light Strip is something worth considering. It’s not the best RGB lighting solution but is undoubtedly one of the most innovative, thanks to its voice control feature. It’s an excellent choice for turning your rig or a part of your home into something you’ll be proud of. Flexible LED strip lights have become really modern and accepted among the computer users, especially gamers. If you are new to LED and RGB strips and fans, here are some things that you need to take into your consideration before you make your choice. This modern light design is rapidly gaining momentum, and people are really getting into that classy and up to date look of their setups. Ease of installation, an increase in efficiency, brightness and color options are some of the features that led the implementation of LED strips to become so popular and widely spread. These strips come in various lighting kits. The same goes for fans. There is no particular standard for choosing your LED strip lights. When you get a clear vision of what you want to do, you can start with your project. Build your case how you want it to look with some of our easy steps. It is important to know exactly what you want to do because each project is unique. If you compare color rendering index, Lumen and CCT, you can start planning what to do next. Lumen would be the most important variable when you want to make a choice about your LED strip light. It is the measurement of brightness. It is important to take care of the brightness so the brighter, the better and if you overdo it, there is always a dimmer. If you want to increase the lifespan of your fans and lights, running them below the full power will do the trick. This refers to the temperature of your lights, and it is measured in degrees Kelvin. Temperature is usually measured with cold or warm white because the temperature rating affects the white light directly. The higher the temperature, the brighter the light. Color rendering index is very important too. It is the measurement of how your colors look when your light source is compared with sunlight. Additionally, it is important to make a comparison of LED strip number on the strip and strip size. It is important to know how many feet of LED strips you need before you start anything. It will be easier for you to compare the quality and the price. Now, one of the most important things is the wattage. Power consumption is significantly reduced with the use of LED strip lights. These are some of the things that you need to think of if you want your LED strip lights to last. Thermal management is also important. Heat is not good for your LEDS. Your LEDs should be designed for proper heat dissipation and thermal management. Safety certifications will make sure that your LEDs are safe and do not contain any hazardous materials, material quality will improve the longevity of your LED’s. LED fans will improve the overall aesthetics of your PC case. Matched with your RGB LED strip lights, fans will help to cool your system down effectively while adding that additional bling to your gaming rig. There are two different types of case fans, airflow, and static pressure fans. Both types are completely optimized for various types of use. If your case is spacious than airflow fans would be the best for you. However, if you have a lot of components blocking the fans, then you need static pressure fans because they can push air through objects, reducing the temperature and allowing the best PC performance. The market is full of all kinds of products meant for upgrading the looks of your PC, but not all of them are well-made and built to last. Adding LEDs and RGB fans is a great way to make your PC case stand out, you just need to make sure you get the products that are worth the money. You can easily compare all the products we reviewed, and pick your favorite. 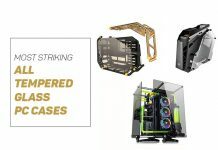 Names like Thermaltake, Phanteks, Corsair and others are well-known manufacturers, and their products are all top of the line. Find your favorite, and your PC will look like a spaceship. Disclosure: We make a small commission when you do purchase products following our links (at no cost to you). This will never affect our evaluation of products. You can find full disclosure here.